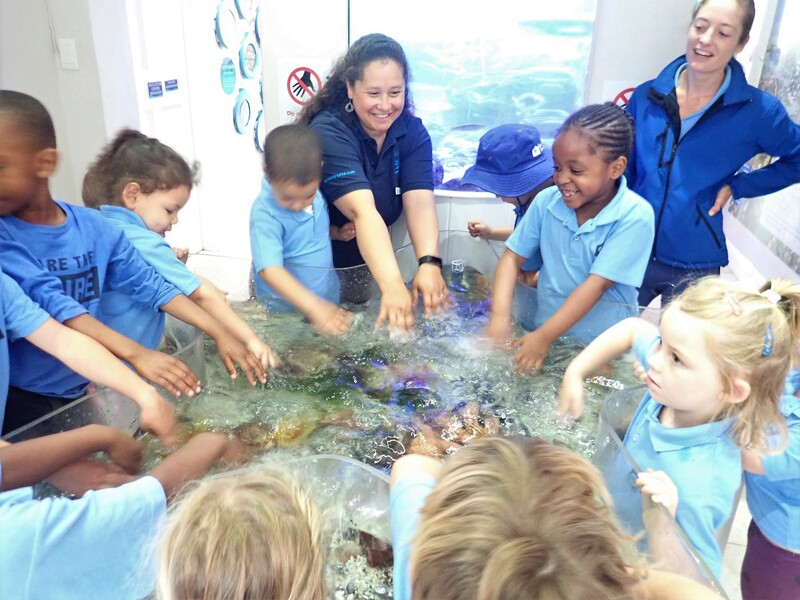 When school groups visit the Shark Education Centre, we teach them about the wonders of the sea. Some of the kids are seeing and touching the sea animals for the very first time in their lives! A key message we emphasise is that it’s the little things that we do, that have the potential to make the biggest impact on our environment. 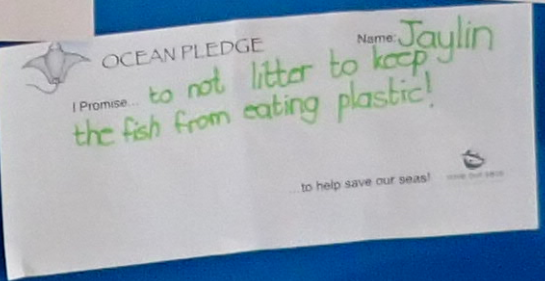 As part of the experience, we ask the kids to make an Ocean Pledge: a promise of what they will do to help save our seas. This is an action that they will do to prevent further harm to our ocean. 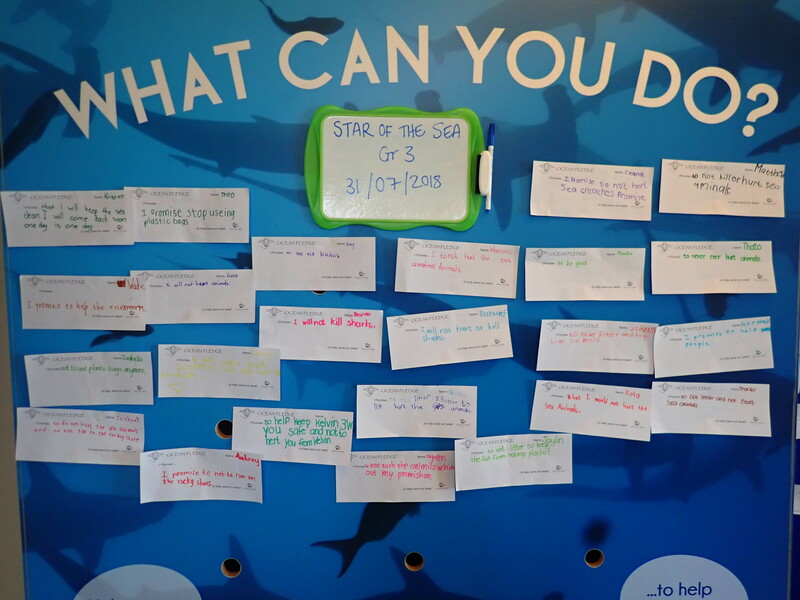 We record the pledges as part of our Monitoring, Evaluation and Learning to measure our impact at the Shark Education Centre. It’s fascinating to see what has stuck with a child during their time with us. 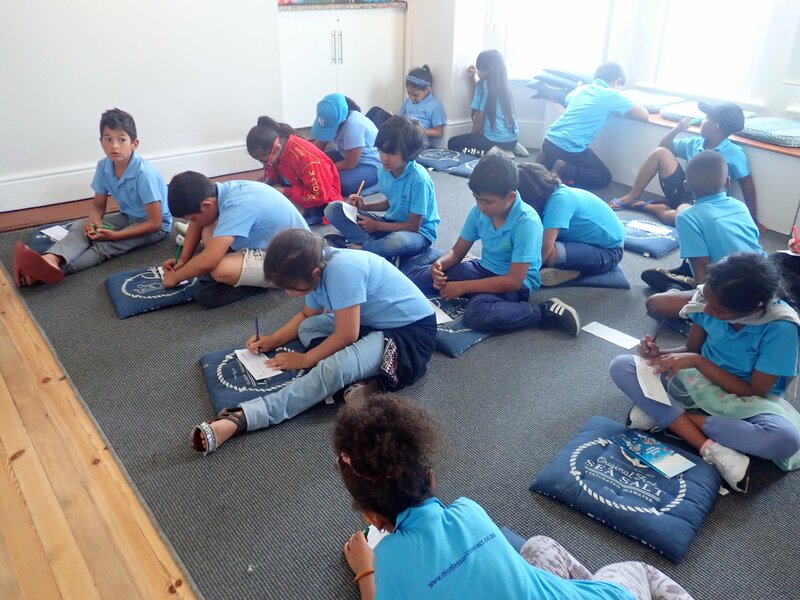 By encouraging these environmentally responsible actions in the children, their connection to the sea is emphasised and shared.